New York based Double Bassist Ha Young Jung captivates audiences and music critics alike with her dynamic and engaging performances. Current Fellow at Carnegie Hall’s Ensemble Connect, Guest Principal Double Bass for Riverside Symphony, New York, as well as being a doctoral candidate at Boston University, Jung plays actively with many ensembles and orchestras including A Far Cry Ensemble, Chineke! Orchestra, Jupiter Symphony Chamber Players and New York Philharmonic. Jung performs in various notable venues as a soloist and a chamber musician including Cadogan Hall (London, UK), Carnegie Hall (New York, United States), David Geffen Hall (New York, United States), Grieg House (Bergen, Norway), Opera House (Tel Aviv, Israel), Philharmonic Hall (St. Petersburg, Russia), Tchaikovsky Great Hall (Moscow, Russia), and The Wigmore Hall (London, UK). Appearing as a featured soloist with prominent orchestras such as Royal Philharmonic, Moscow Virtuosi Chamber Orchestra, Southbank Sinfonia, and Novosibirsk Symphony Orchestra. 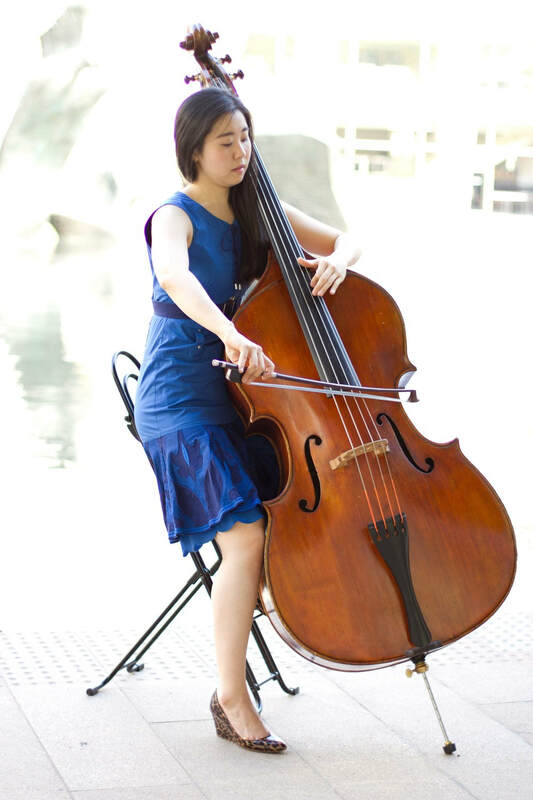 List of Jung's national and international competition successes include; First Prize of Koussevitzky Young Artist Award (New York, 2013), Silver Medal of Serge Koussevitzky International Double Bass Competition (St Petersburg, 2007), First Prize of International Society of Bassists’ Competition (USA, 2007), the Grand-Prix of International String Competition (Moscow, 2006), Musician of the Year at the Solti Foundation (Belgium, 2006). Jung was a guest artist in various national and international music festivals including Bergen International Festival (Norway), Eilat International Festival (Israel), Hardanger International Music Festival (Norway), and Wimbledon International Chamber Music Festival (London). Her performances has been broadcasted live in many countries across the continent including WQXR of New York, BBC radio 3 of England, National Radio Station “Kol Hamusica” of Israel and Kultura Channel of Russia. As an orchestral musician she worked with many distinguished orchestras such as London Symphony Orchestra and English National Opera performing in venues including Alice Tully Hall (New York), Barbican Centre (London), and Carnegie Hall (New York). Jung studied extensively with leading musicians and institutes including Royal College of Music (Bachelor of Music), The Juilliard School (Master of Music) and Yale University (Artist Diploma). List of principal teachers include Edwin Barker (principal at the Boston Symphony Orchestra), Timothy Cobb (principal at the New York Philharmonic and former principal at the Metropolitan Opera), Rinat Ibragimov (former principal at the London Symphony Orchestra), Chang-Hyoung Lee (principal at the Korea Broadcasting Symphony Orchestra), Tom Martin (former principal at the London Symphony Orchestra), and Don Palma (Head of Strings at New England Conservatory, Boston). Information on this website and materials are subject to change without notice.